[BILL OF RIGHTS]. 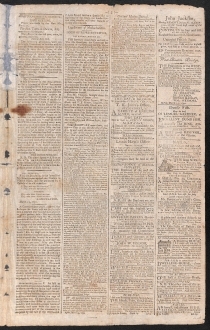 Newspaper. 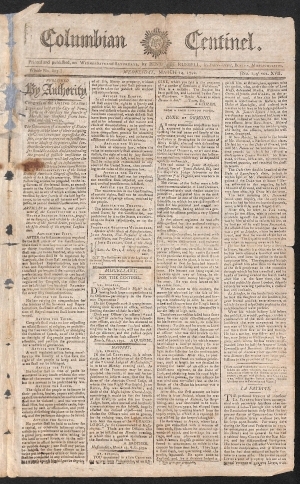 Columbian Centinel, March 14, 1792. Boston, Mass. : Benjamin Russell. 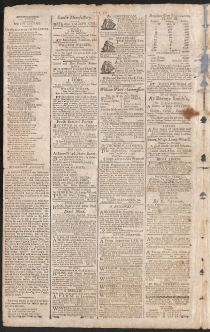 4 pp., 10½ x 16½ in. 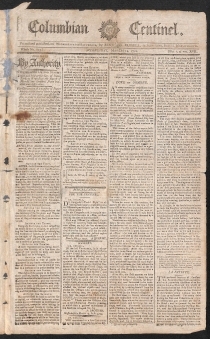 This issue contains the twelve proposed Constitutional amendments that Congress sent to the states for ratification. Following Virginia’s vote in December 1791, the required number of states had passed ten of the twelve amendments. 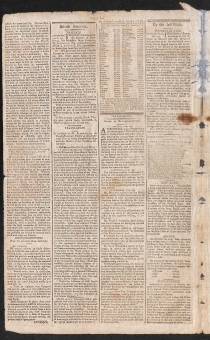 On March 1, 1792, Secretary of State Thomas Jefferson sent a circular to the governors of the states including the articles that had been ratified, which became the Bill of Rights, as well as the two proposed amendments that had not been ratified but were still in question, as the action of the Massachusetts legislature in 1790 had not been transmitted to Jefferson. In their debates on ratification, several state conventions proposed amendments to the new Constitution. Massachusetts submitted nine, South Carolina adopted 5 declarations and resolves, New Hampshire proposed 12, Virginia submitted a 20-point bill of rights and 20 amendments, and New York proposed a 25-point bill of rights and 31 amendments. James Madison sifted through all the proposals, and introduced several to Congress. After debates in the House and Senate, and several drafts, in September 1789, Congress approved and sent twelve amendments to the states for ratification. Between November 1789 and June 1790, nine states adopted ten of those Amendments. Vermont became the fourteenth state on March 3, 1791, and adopted the ten amendments on November 3. On December 15, 1791, Virginia became the eleventh state to adopt the ten amendments, thus providing the necessary three-fourths of the states to put the Bill of Rights into effect. Separated at the spine and archivally re-hinged. Some loss to center margin, and some staining. Nine states adopted the original first amendment, but Delaware and Pennsylvania demurred. Eight states adopted the original second amendment, but New Hampshire, New Jersey, and New York rejected it. Two centuries later, in 1992, the original second proposed amendment became the 27th Amendment. Thomas Jefferson to Christopher Gore, August 8, 1791; Christopher Gore to Thomas Jefferson, August 18, 1791.